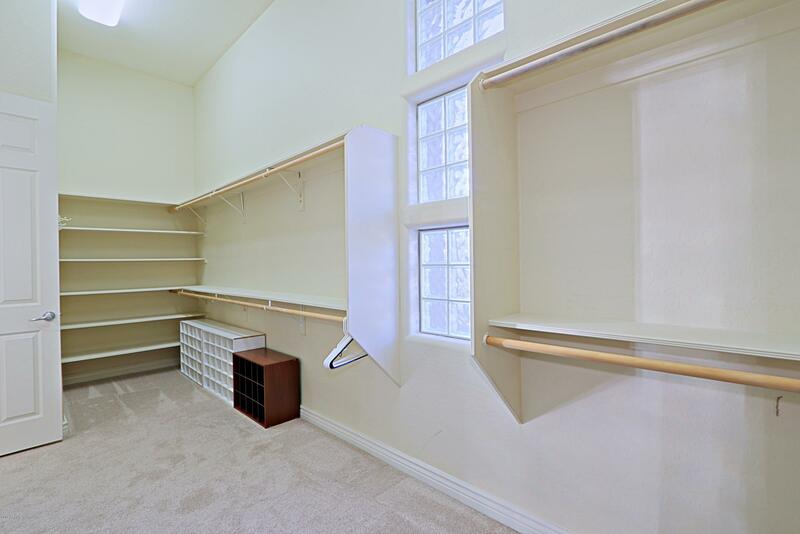 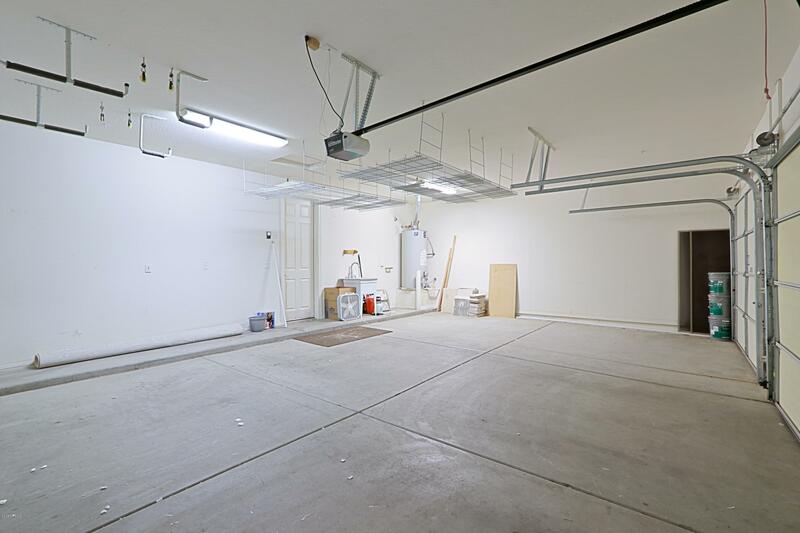 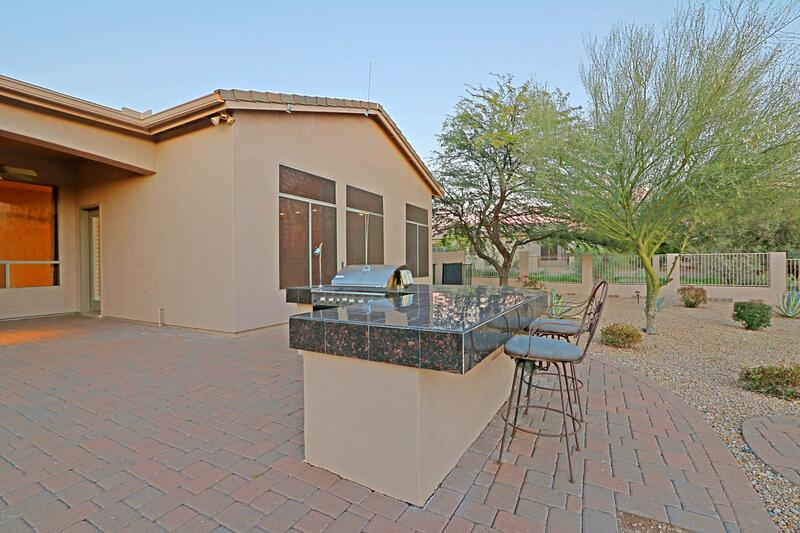 PRICE REDUCTION...BRING AN OFFER...SELLER WANTS IT SOLD! 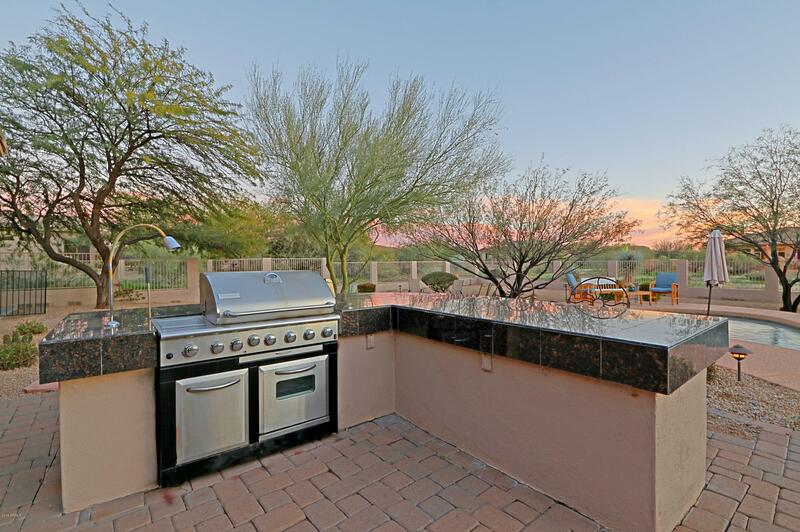 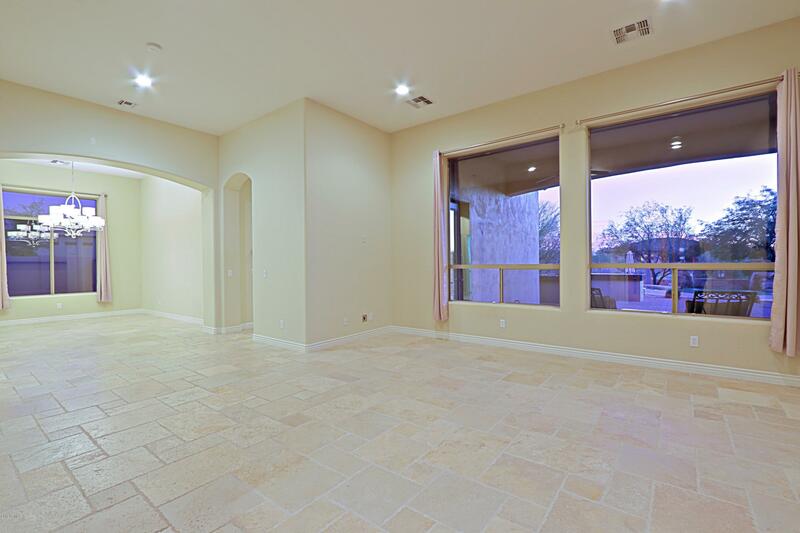 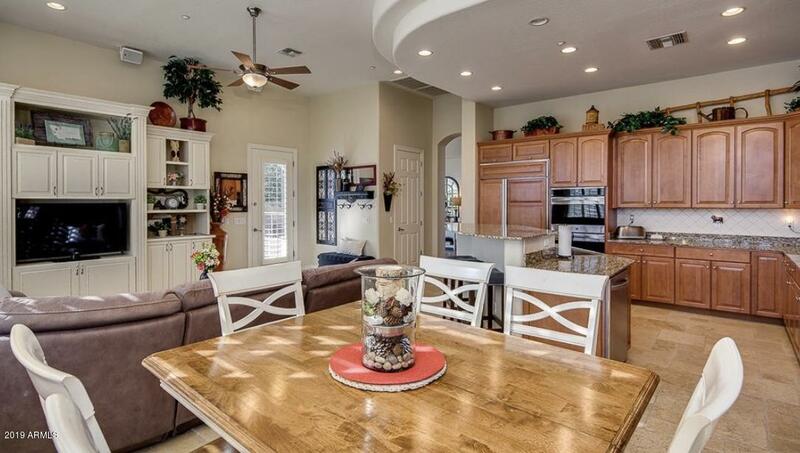 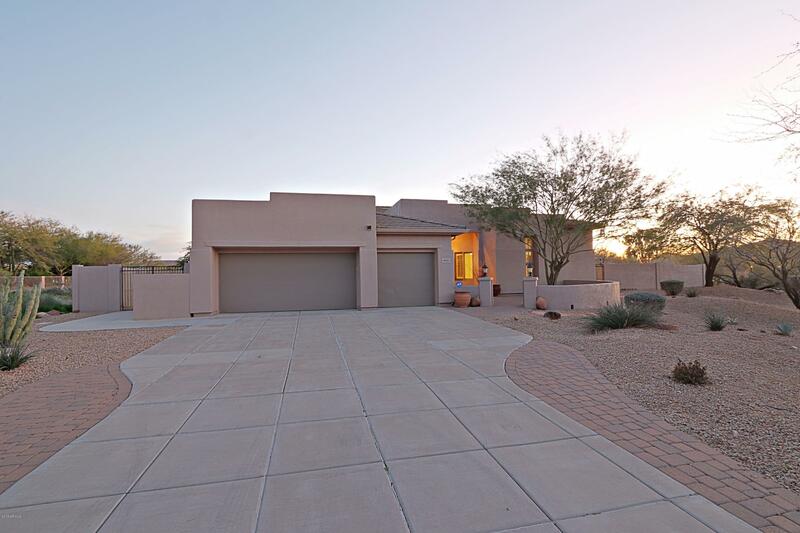 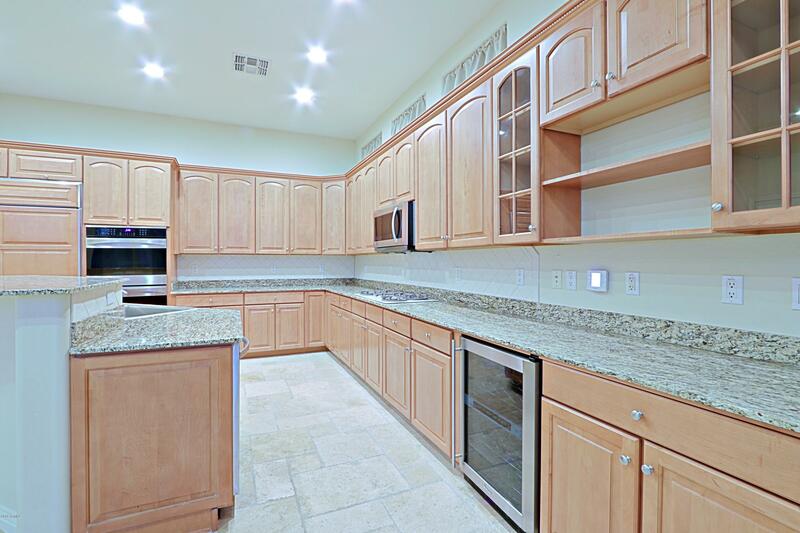 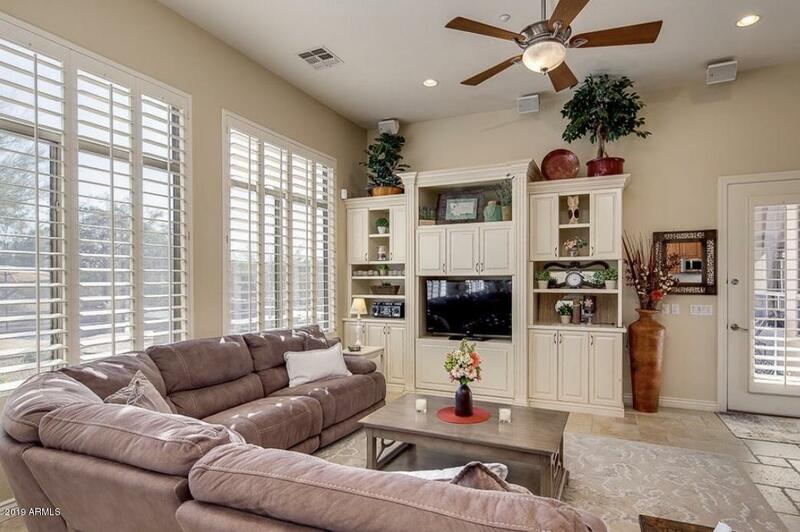 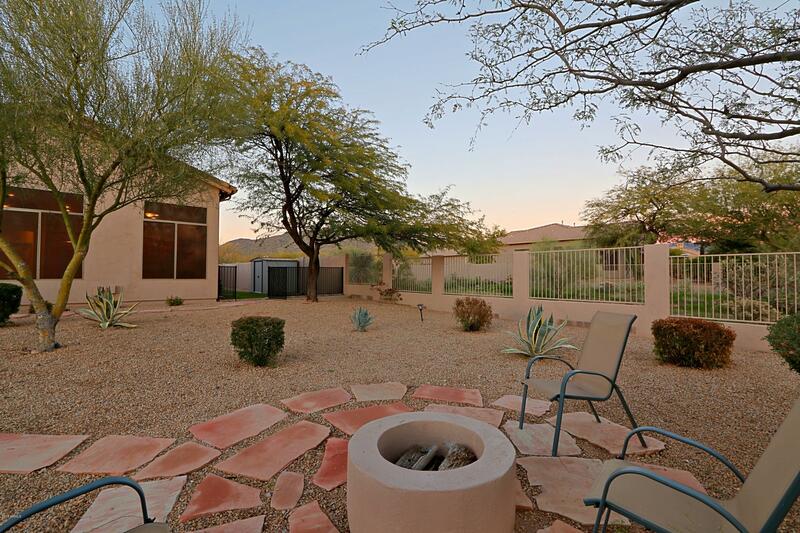 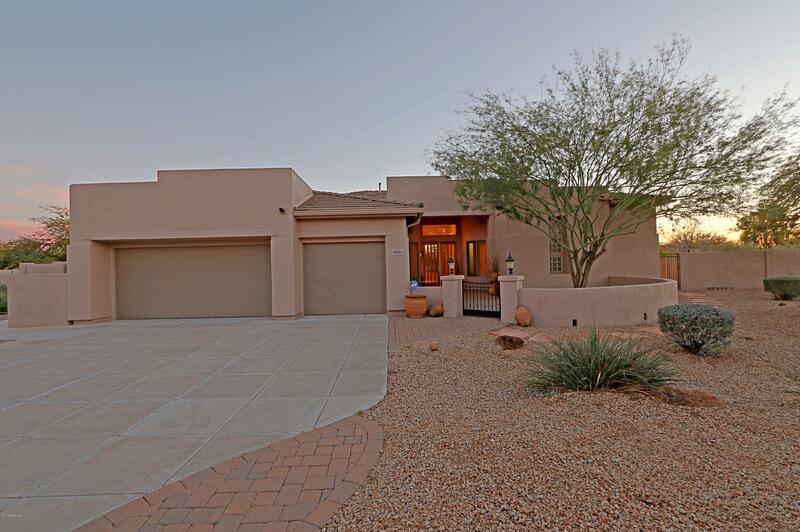 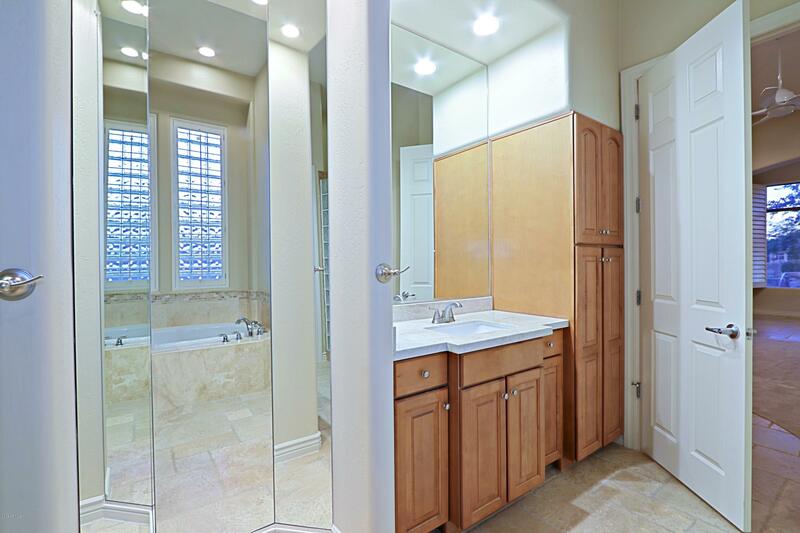 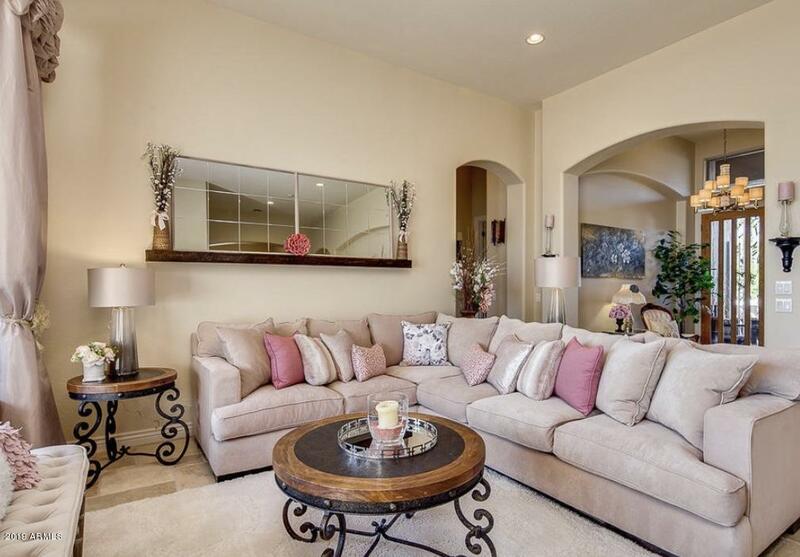 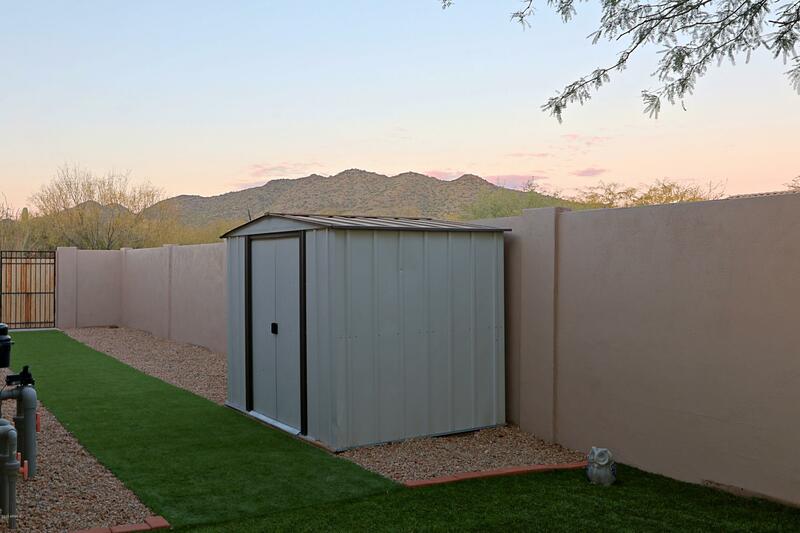 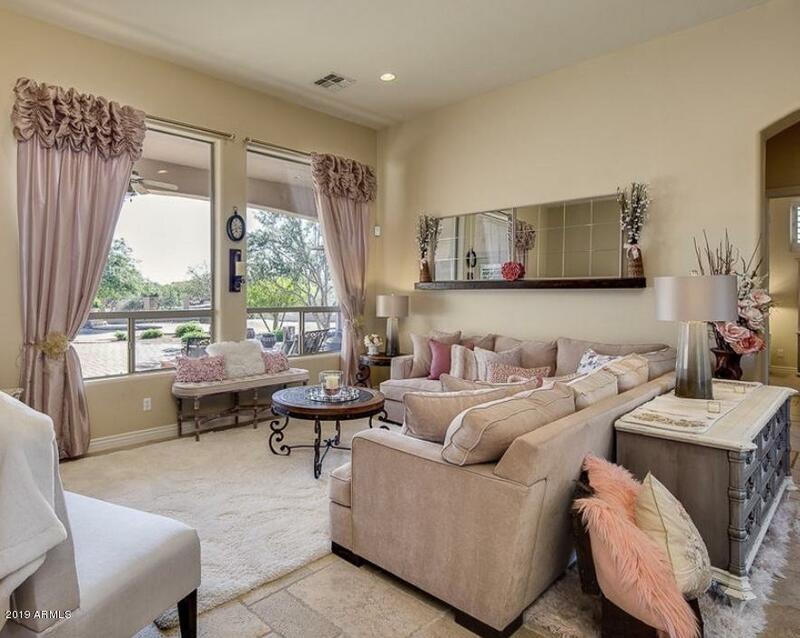 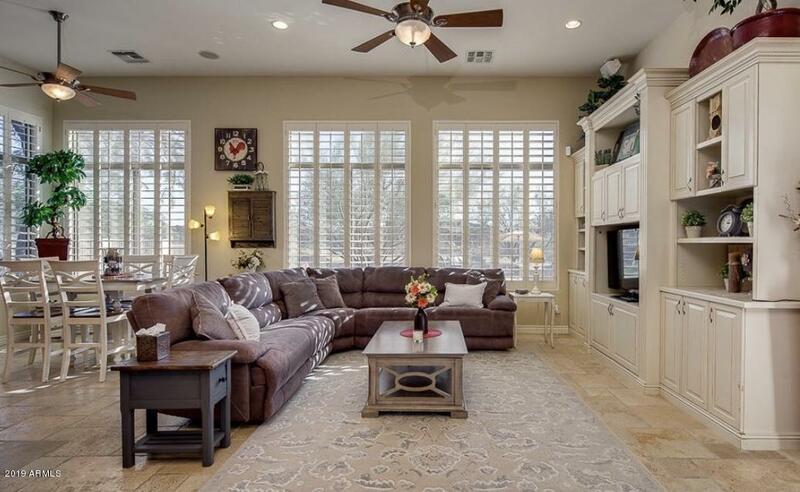 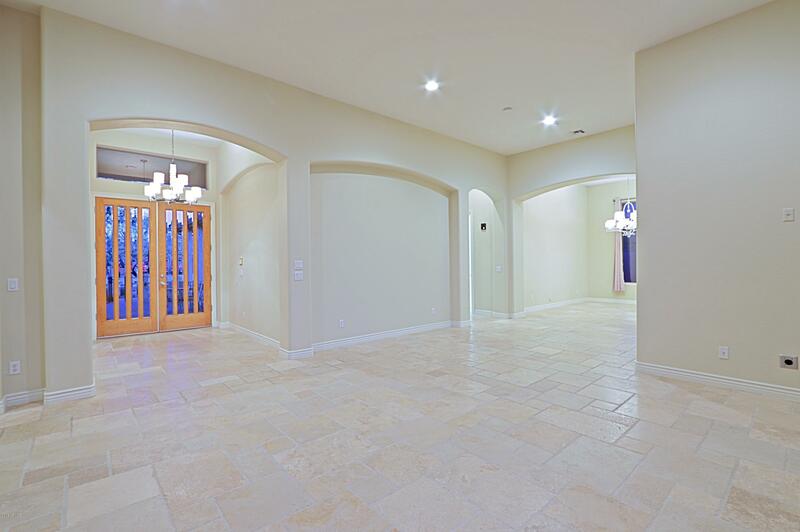 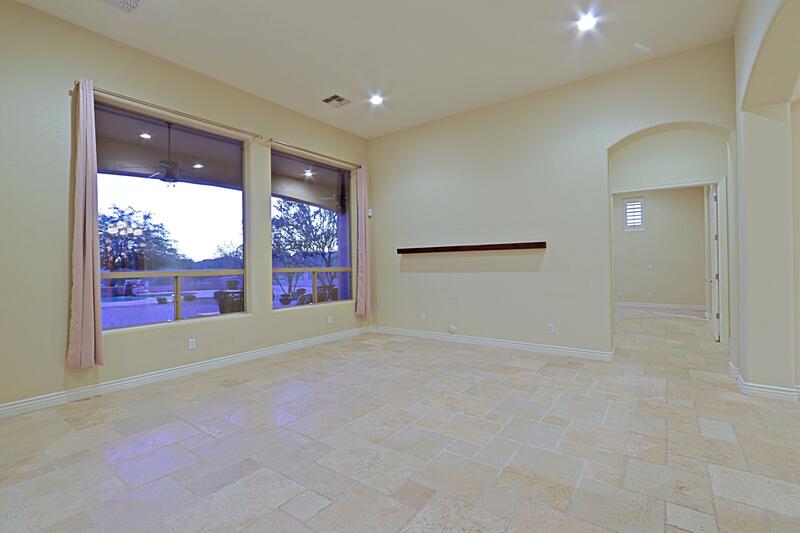 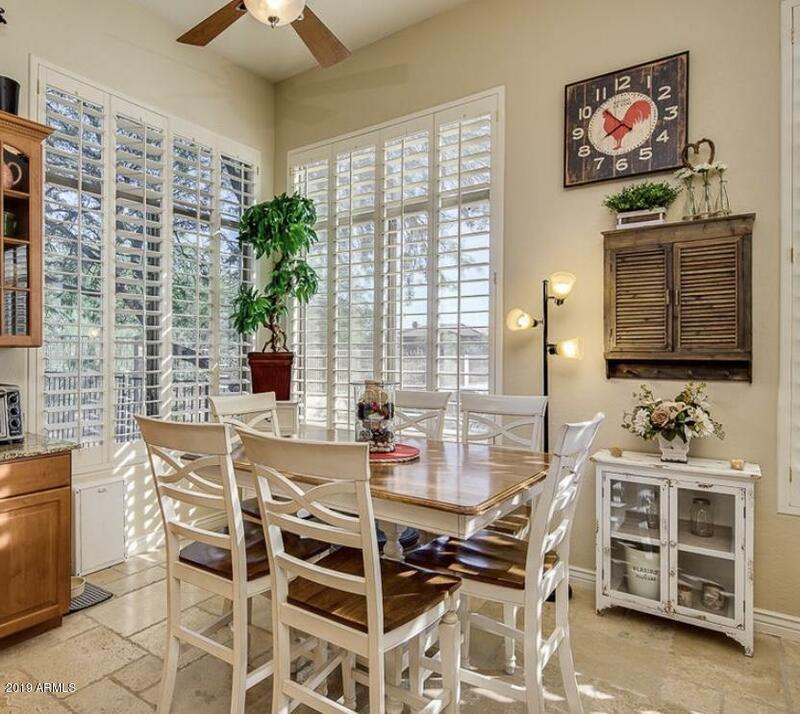 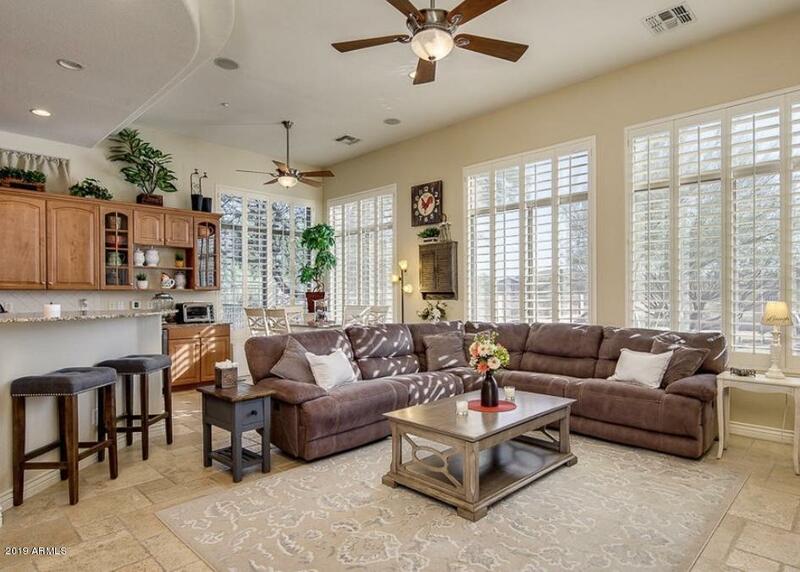 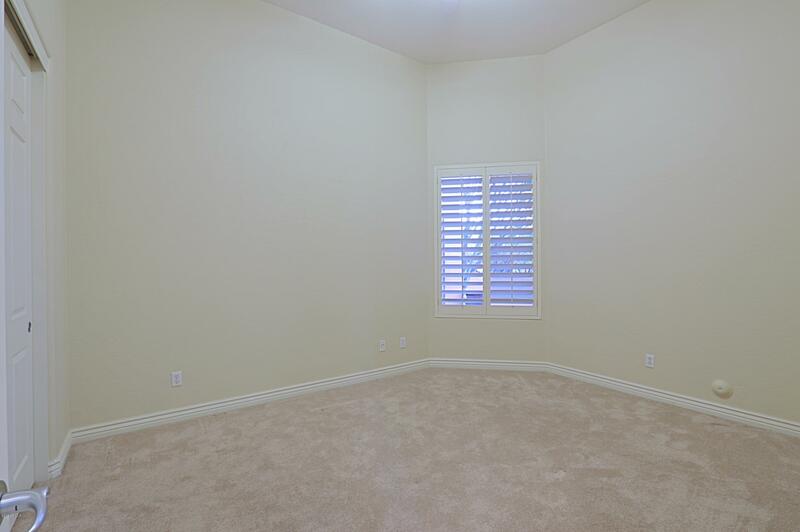 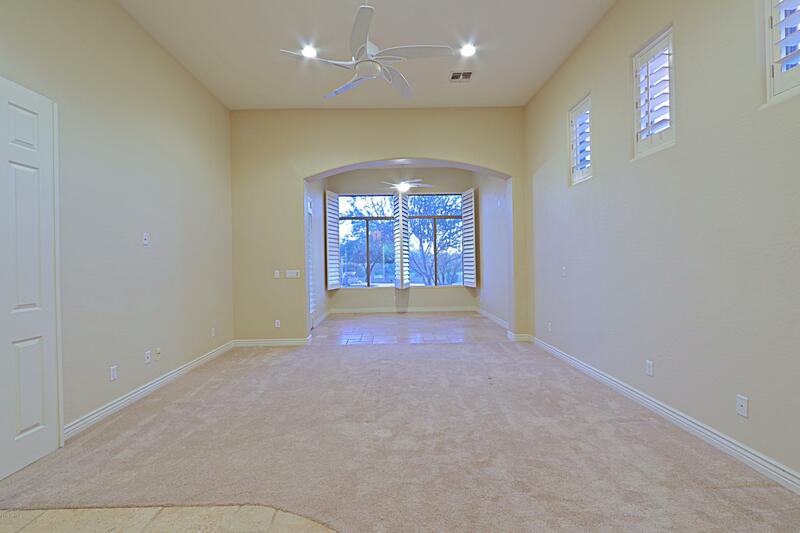 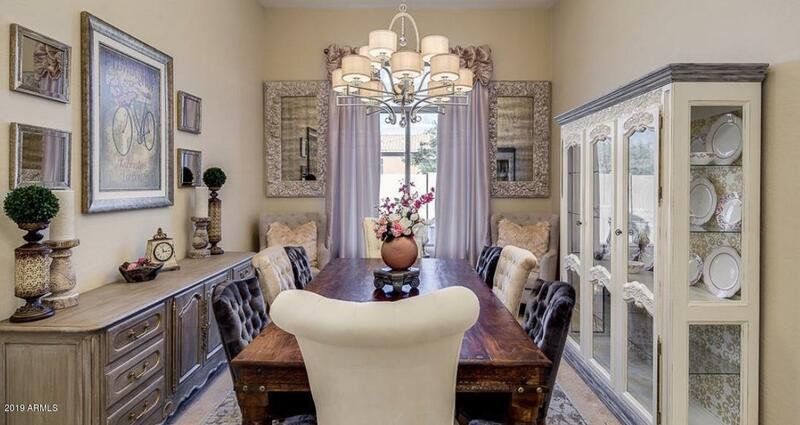 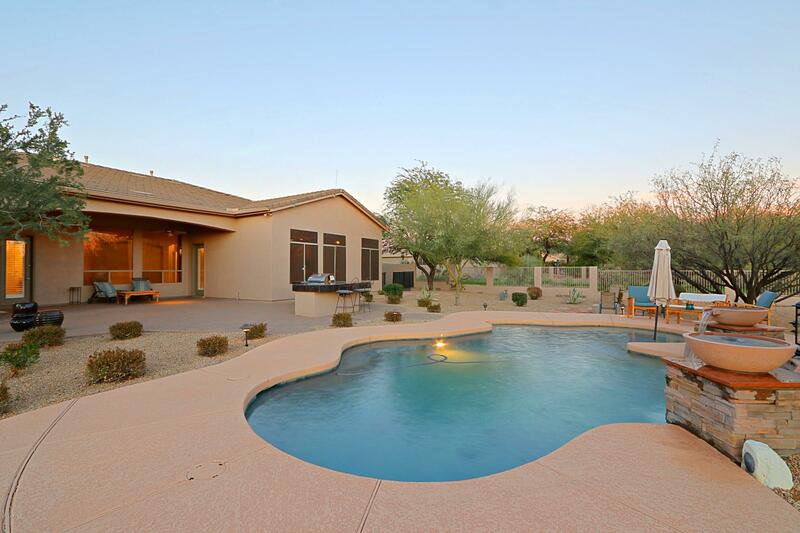 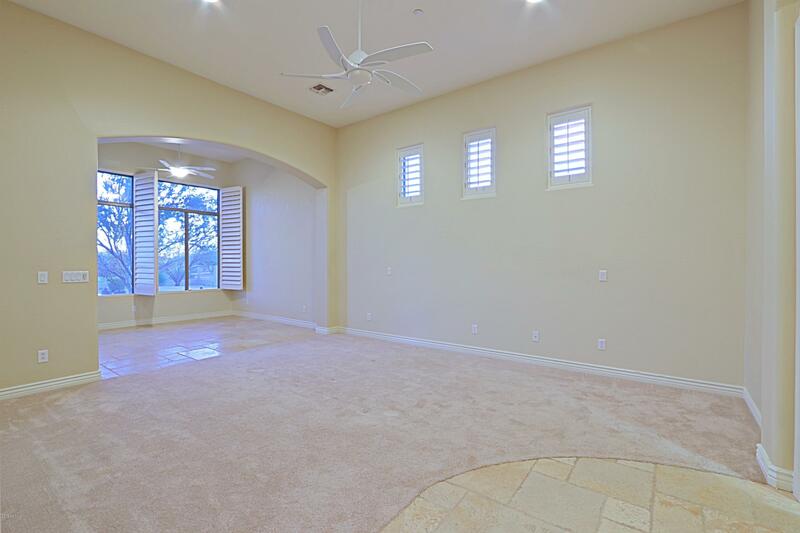 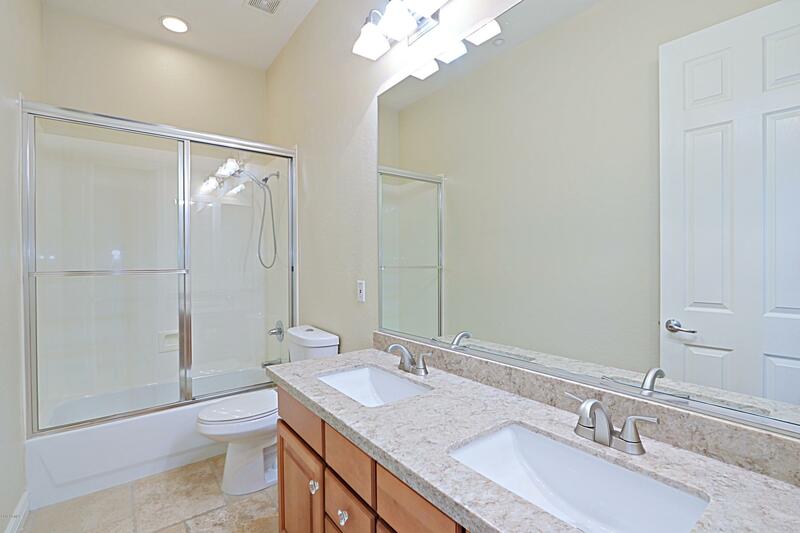 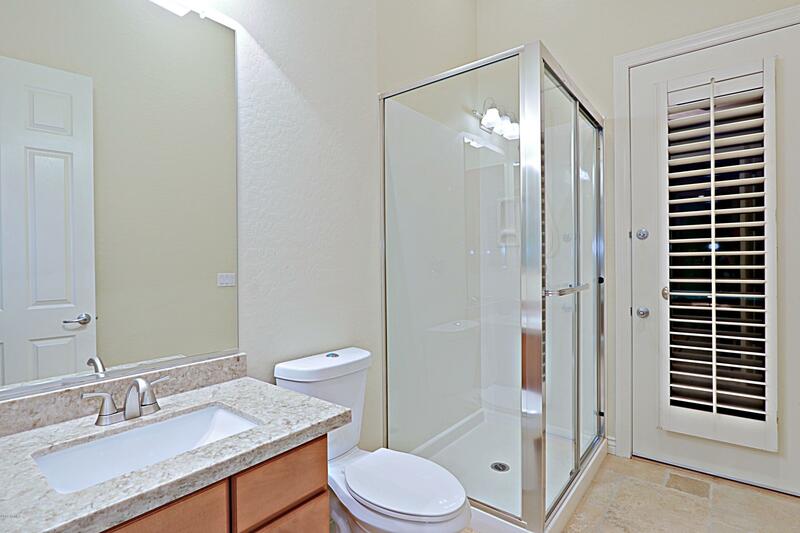 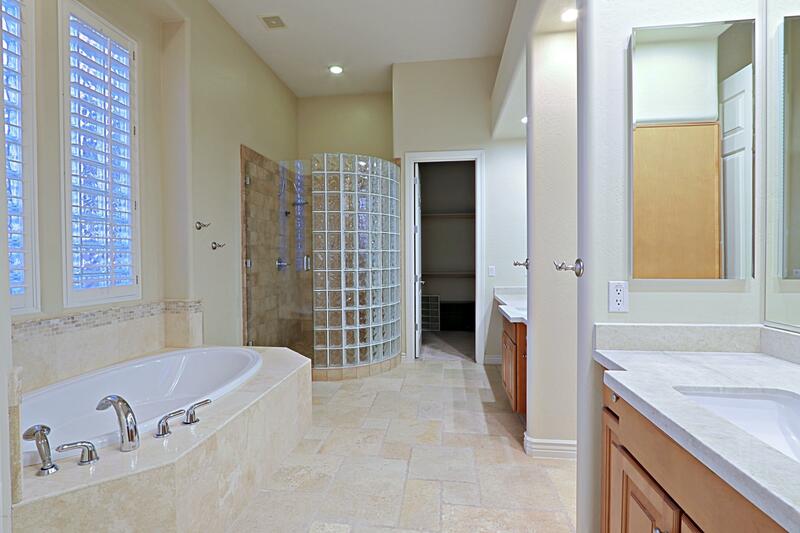 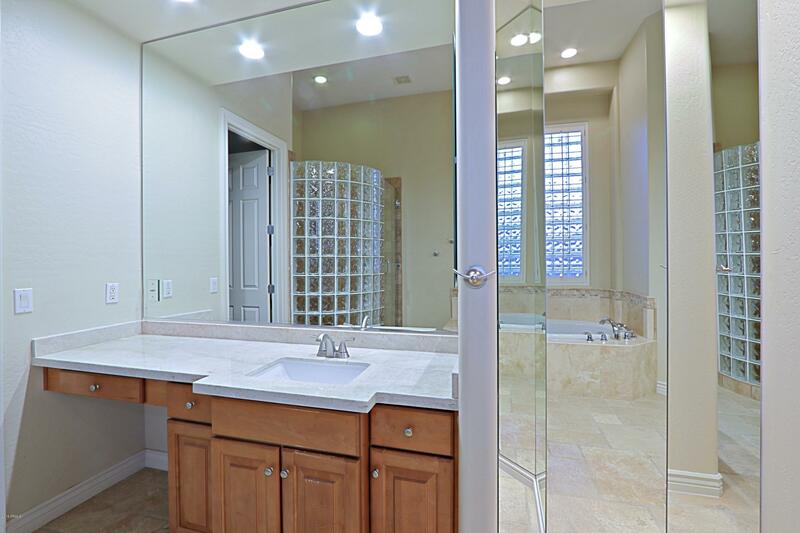 4 bed 3 bath home in Cave Creek! 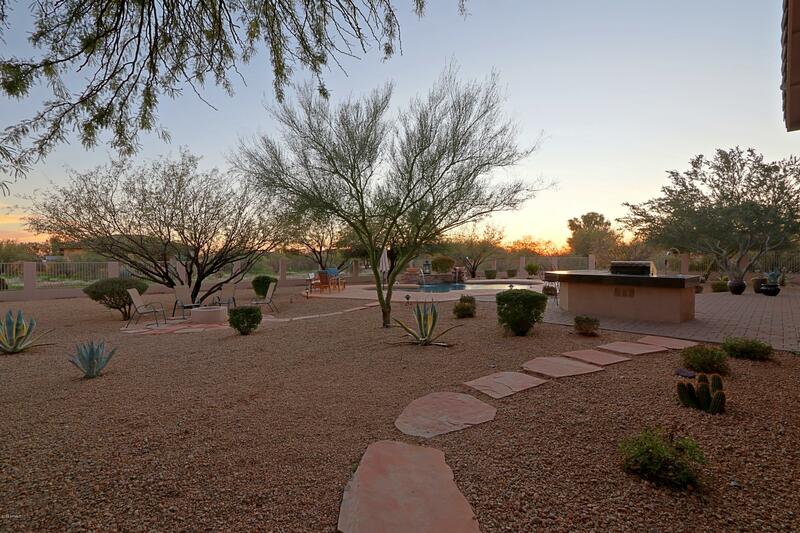 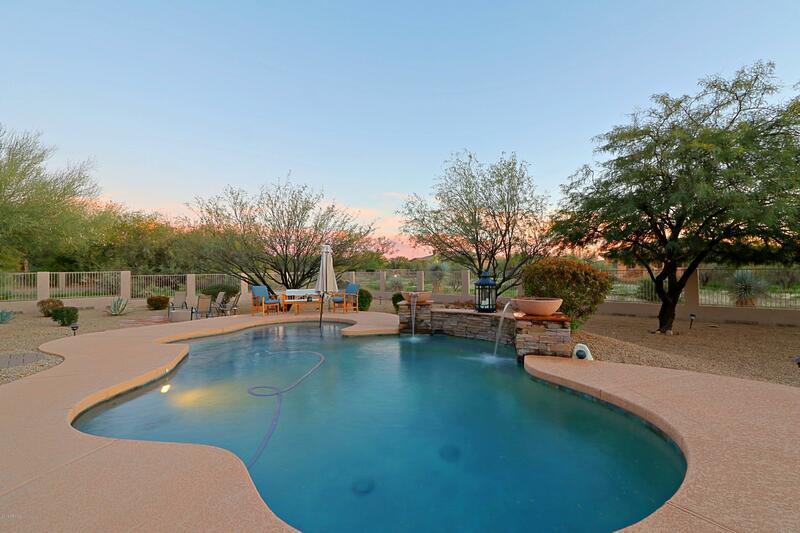 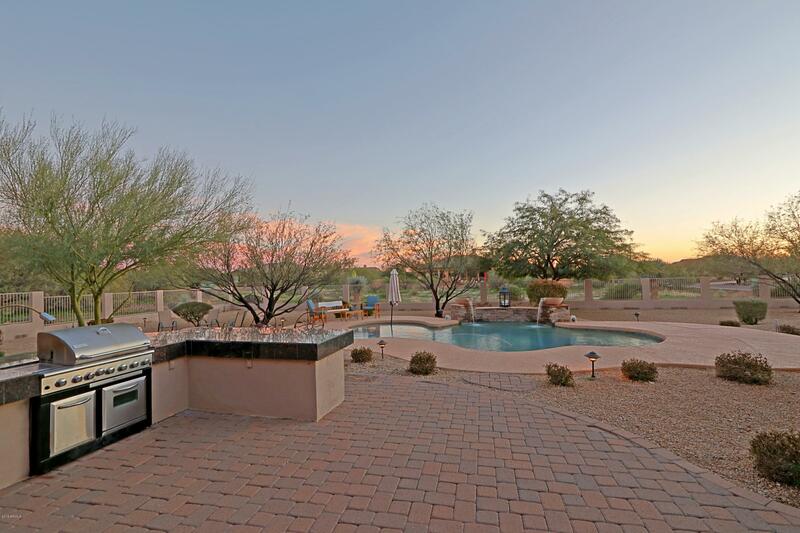 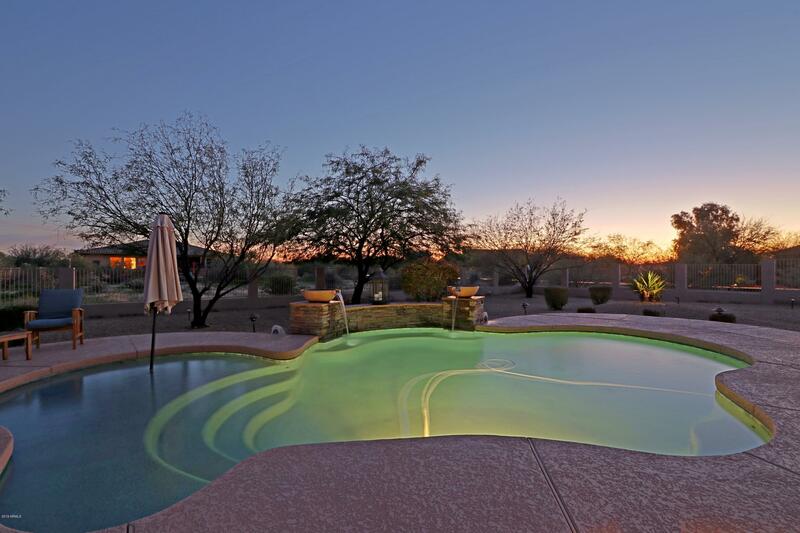 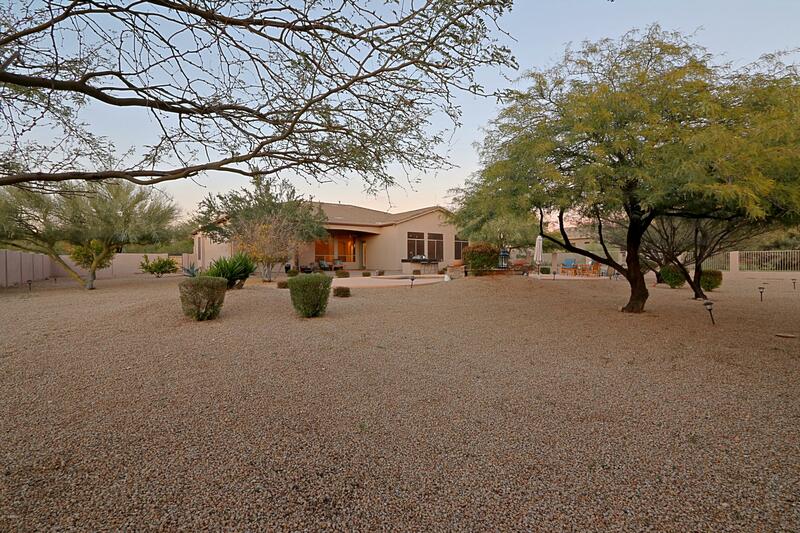 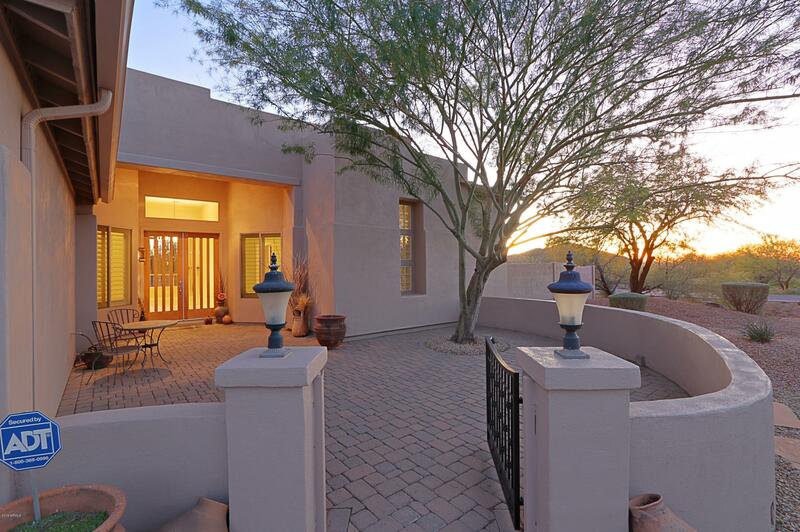 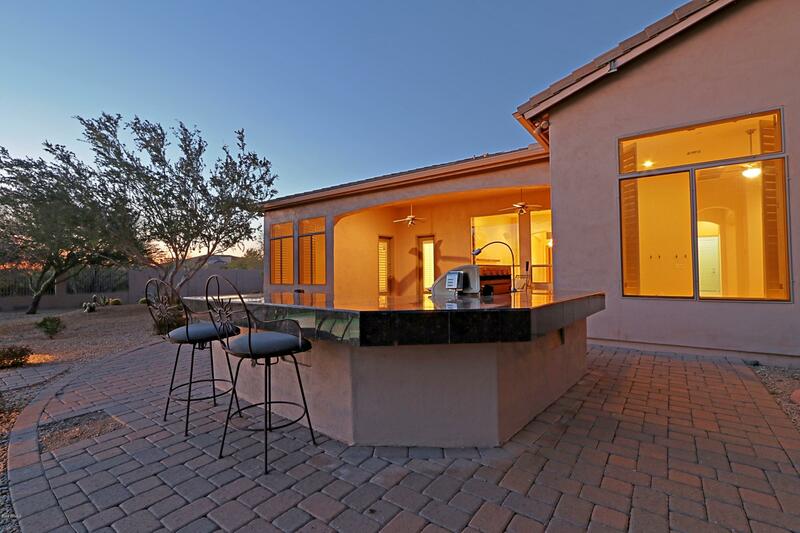 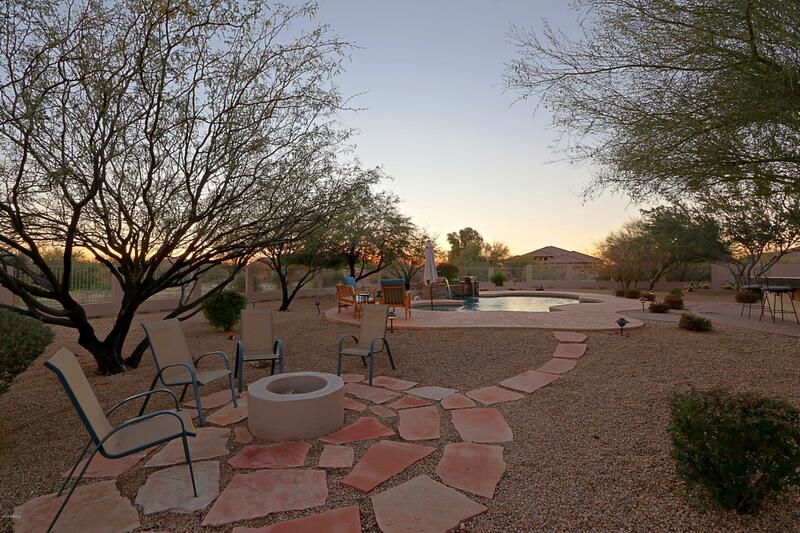 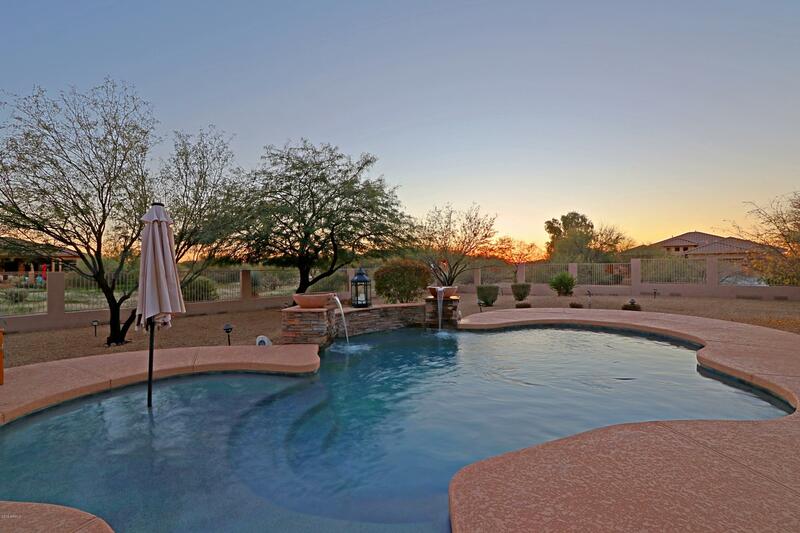 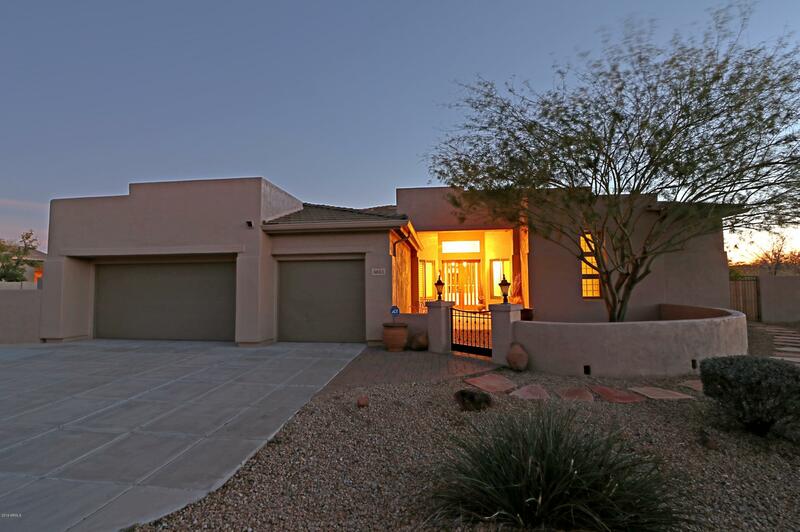 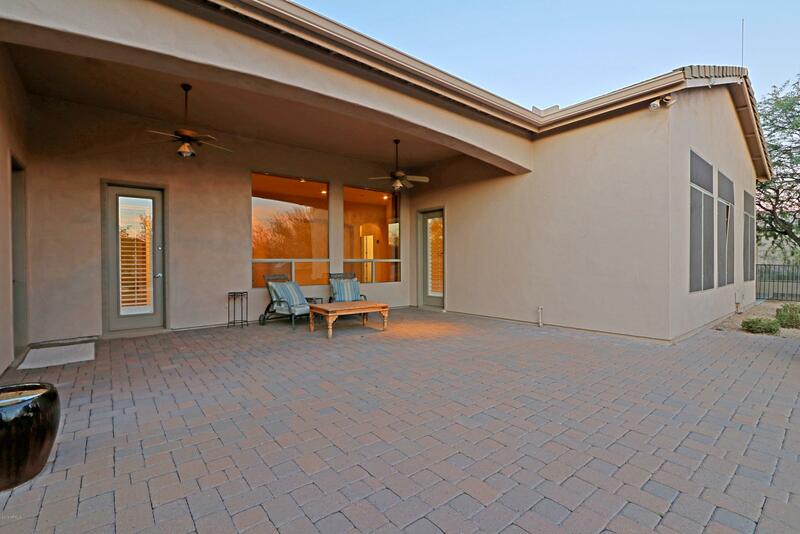 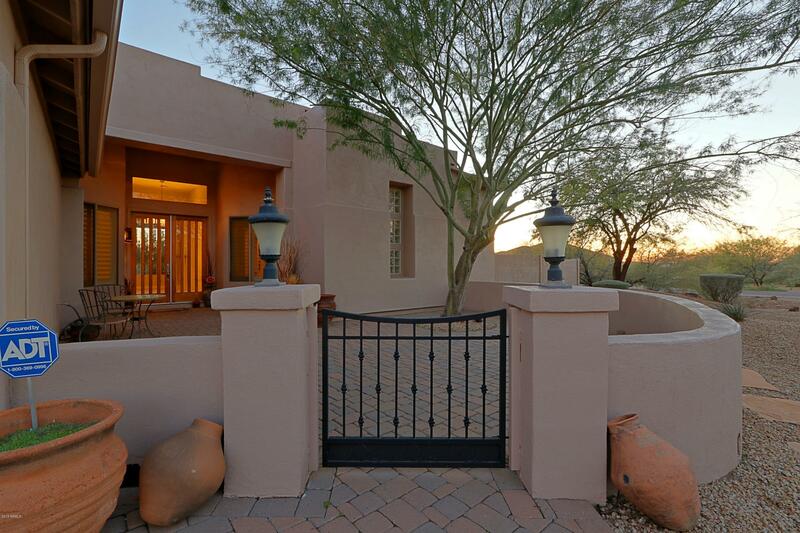 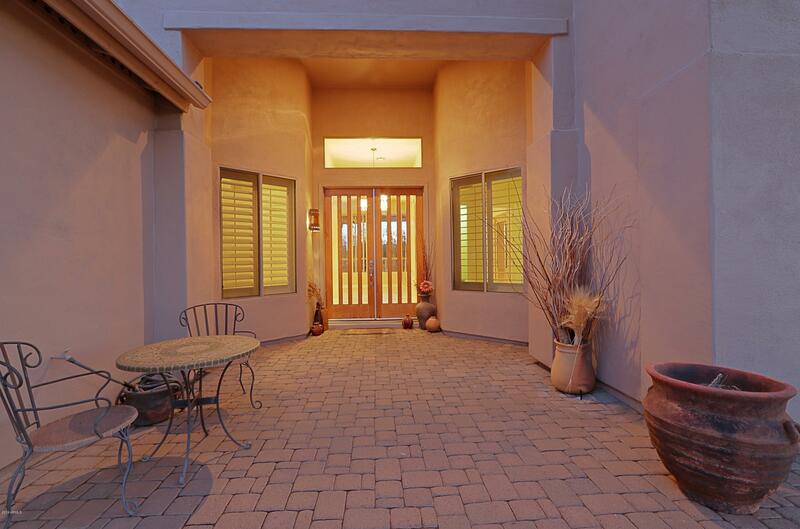 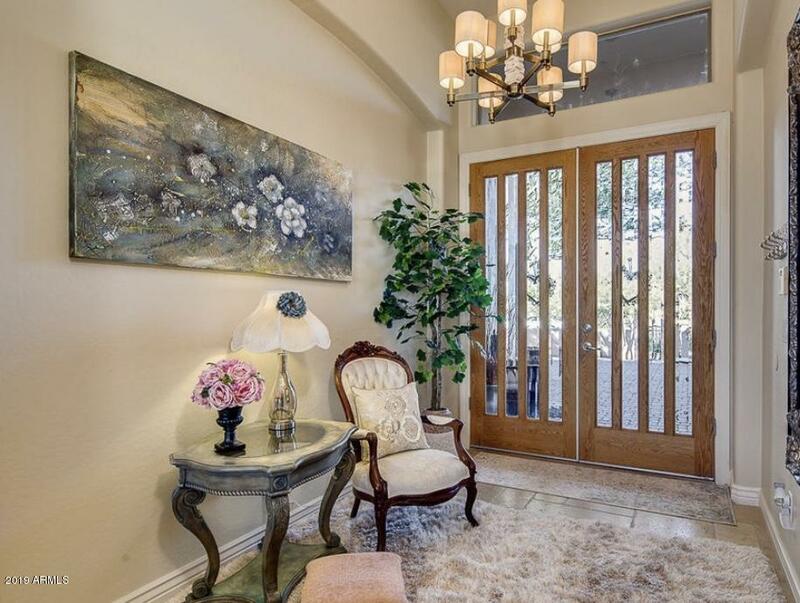 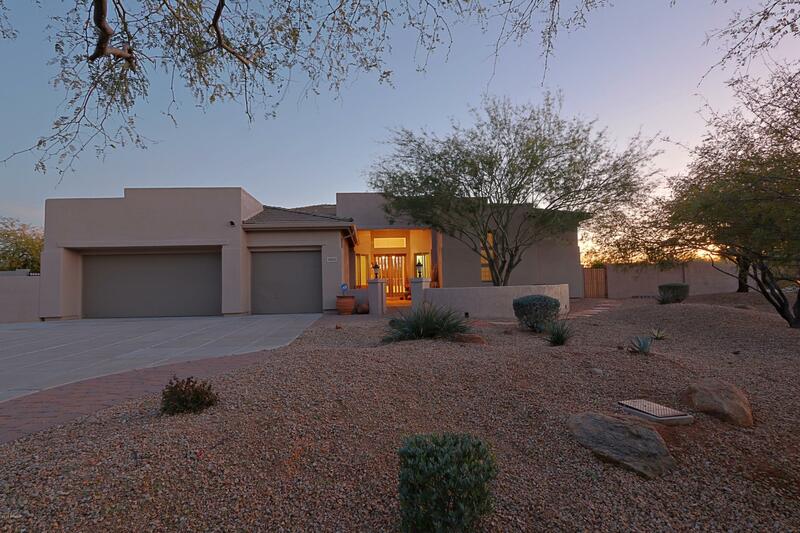 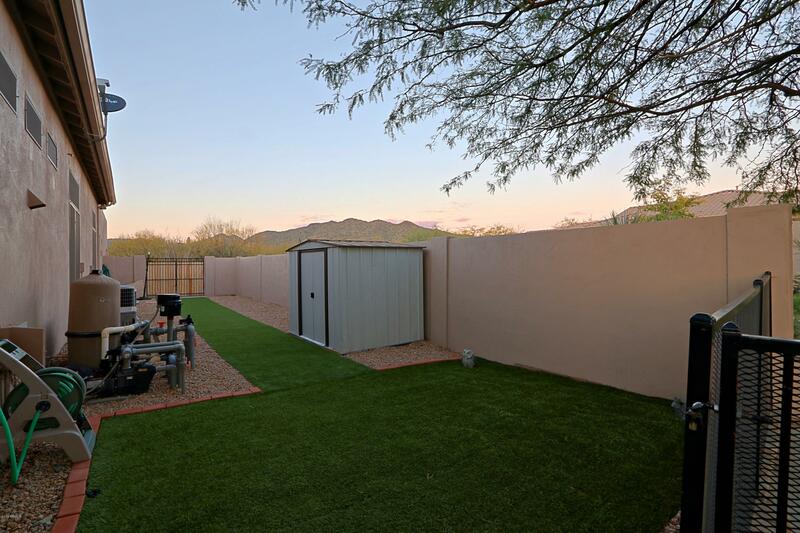 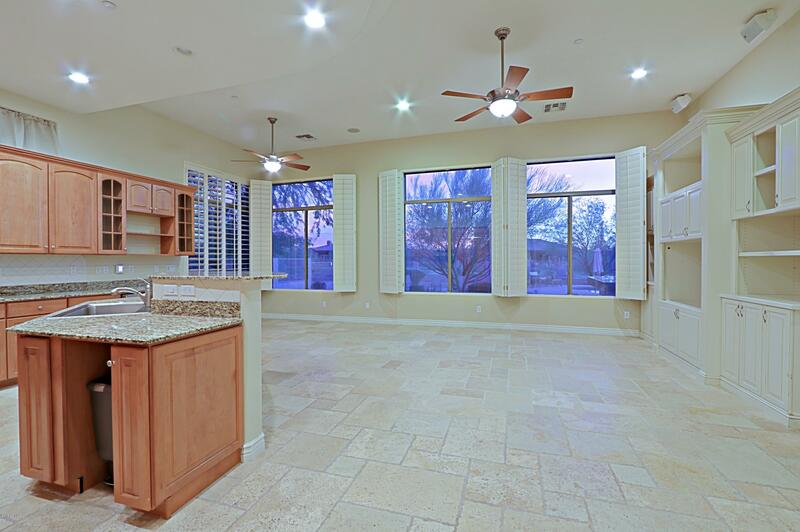 Come enjoy the desert serenity and amazing Arizona sunsets at this impeccable home located on an acre+ lot in the private community of Sierra Vista. 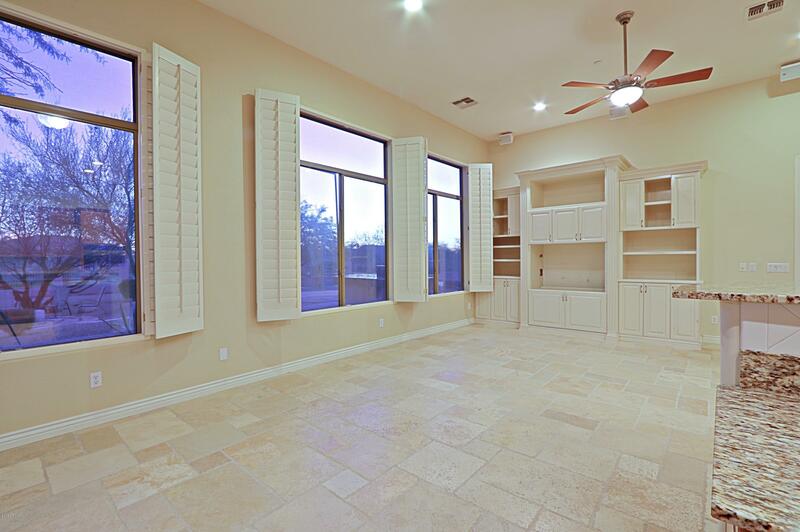 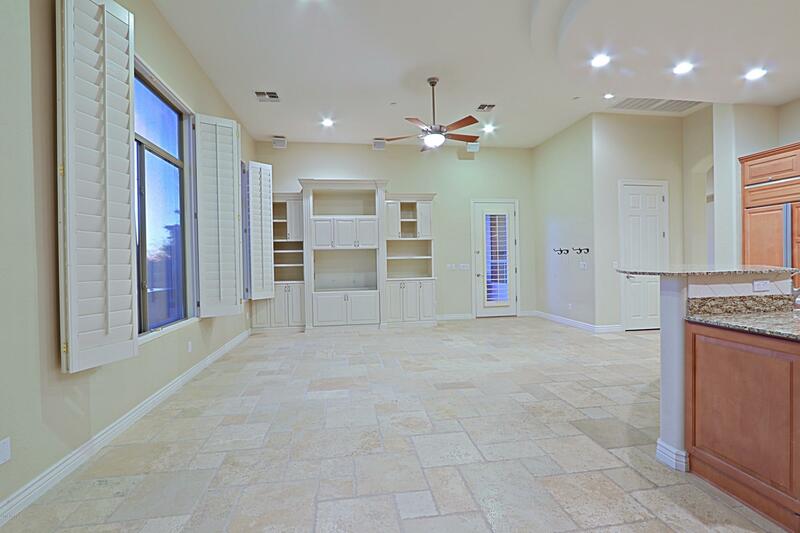 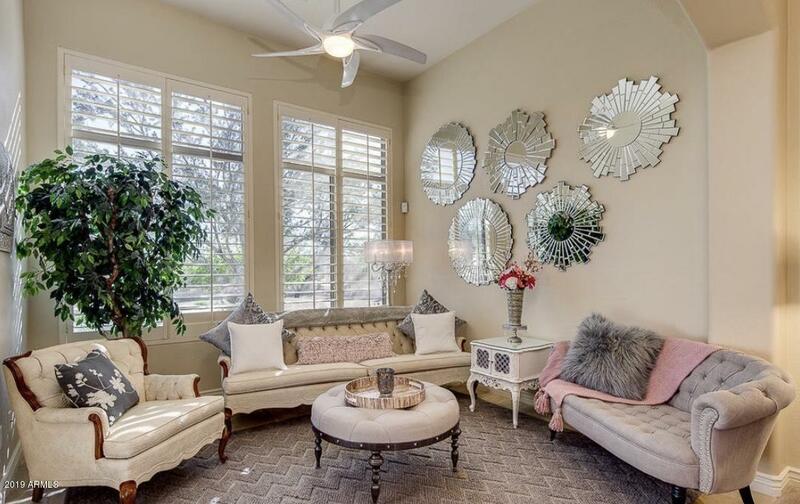 This luxurious home features vaulted ceilings, exquisite stone flooring, plantation shutters, and granite countertops throughout. 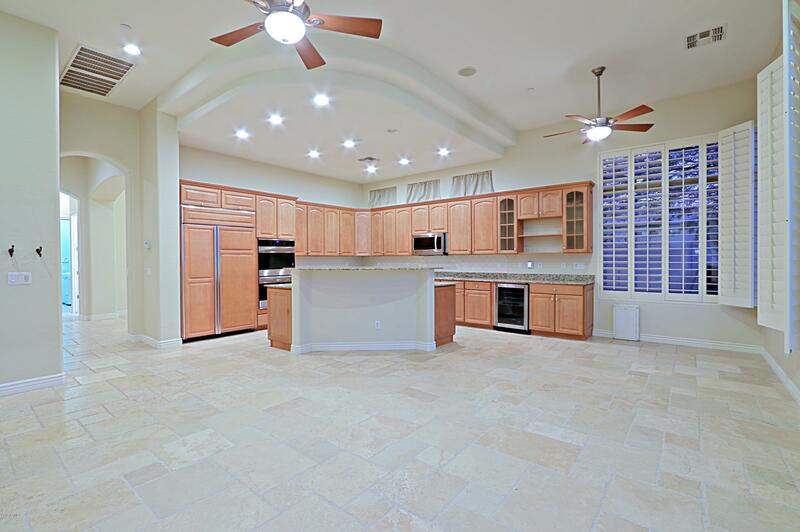 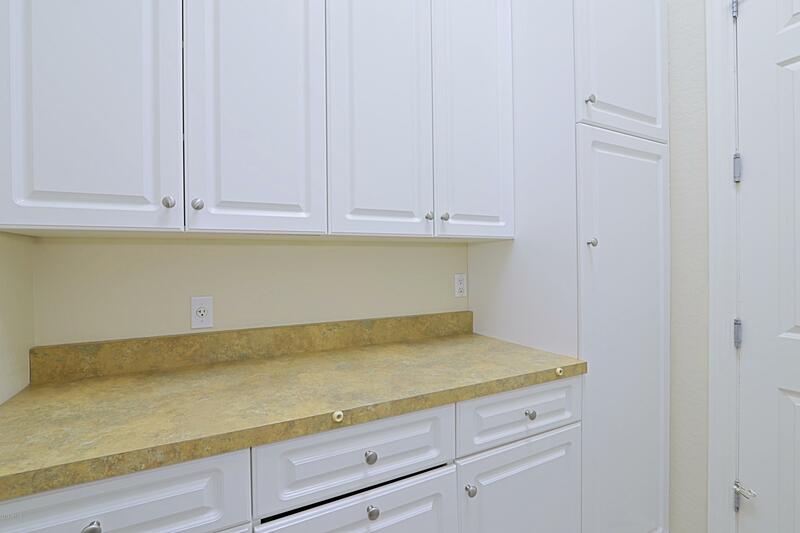 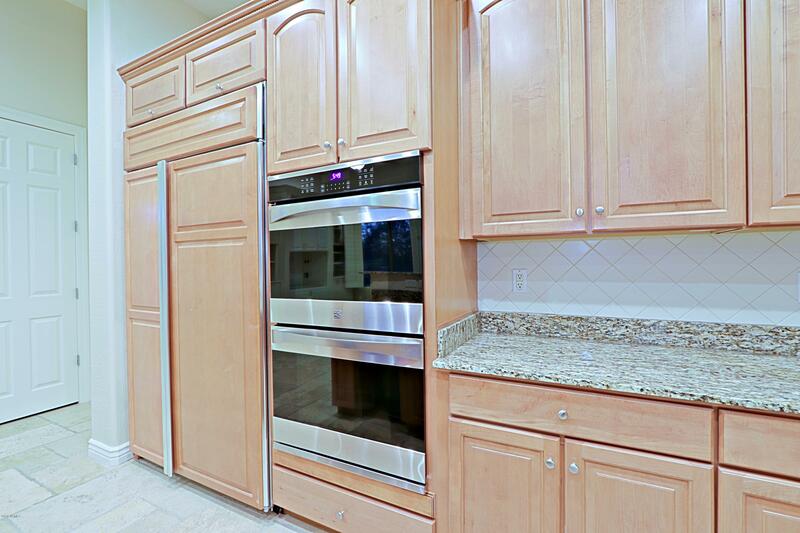 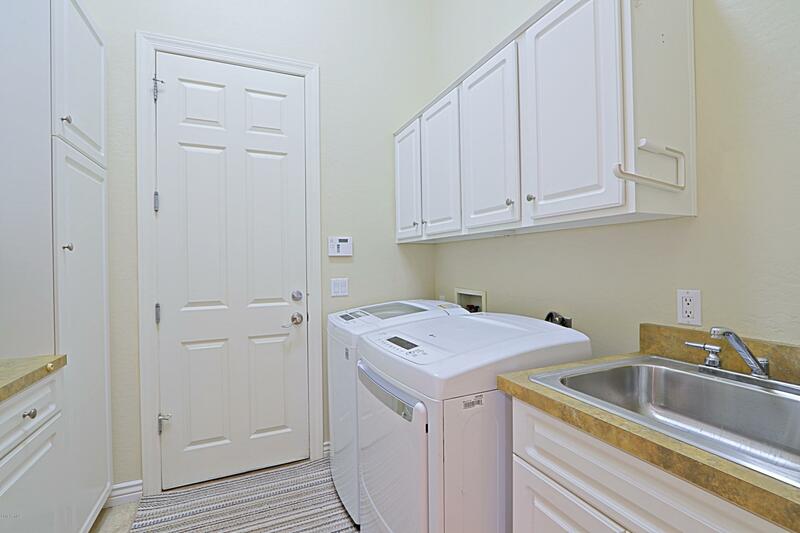 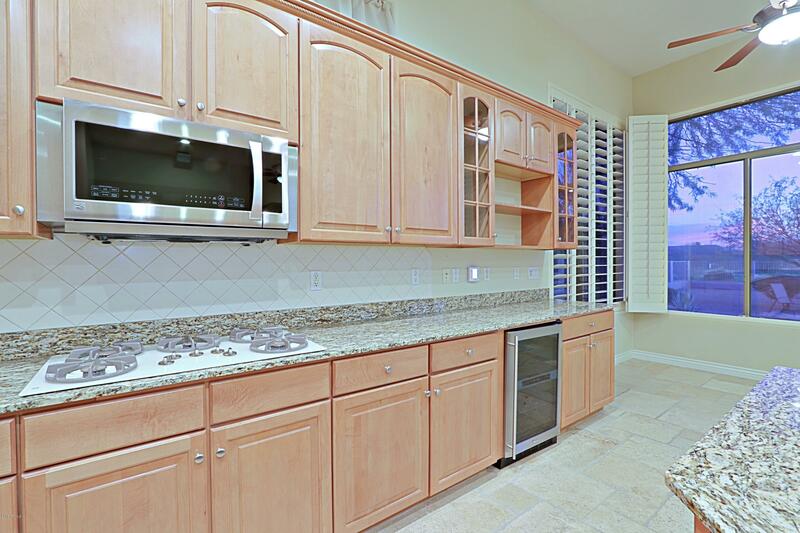 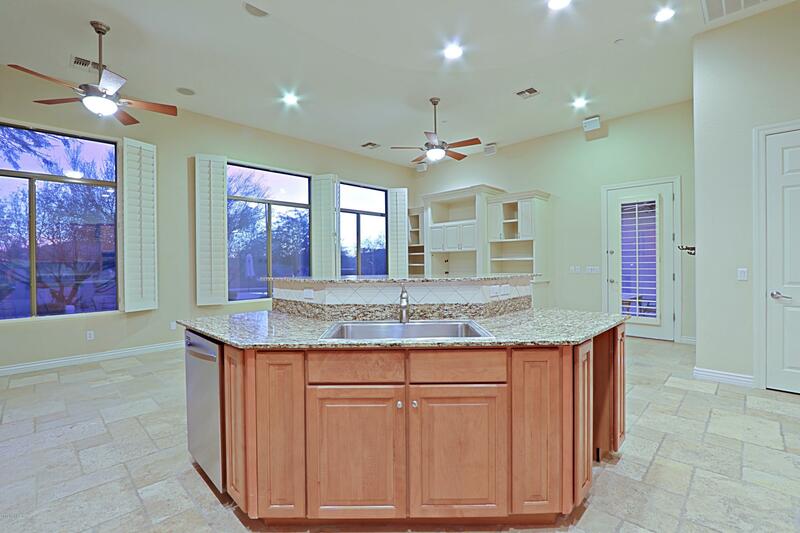 The gourmet kitchen has new S/S appliances, including a double wall oven, large island with tall breakfast bar, and opens to the spacious family room. 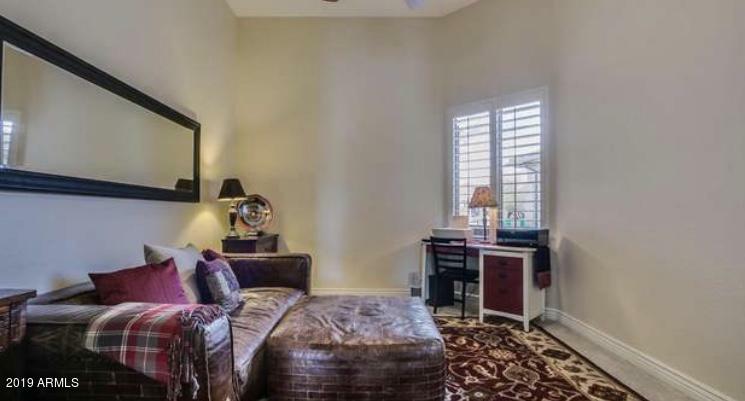 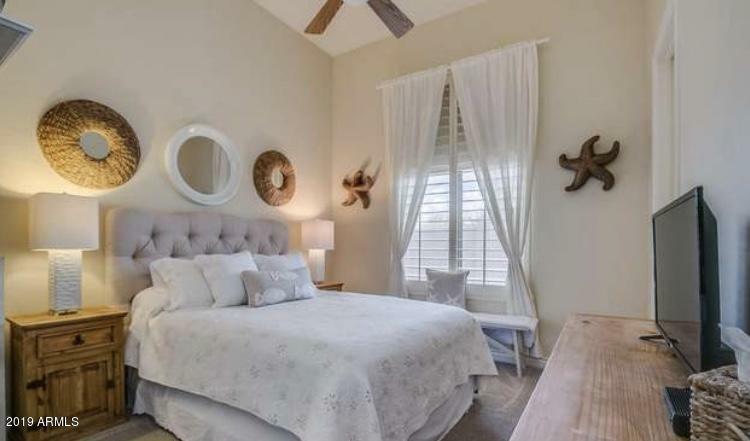 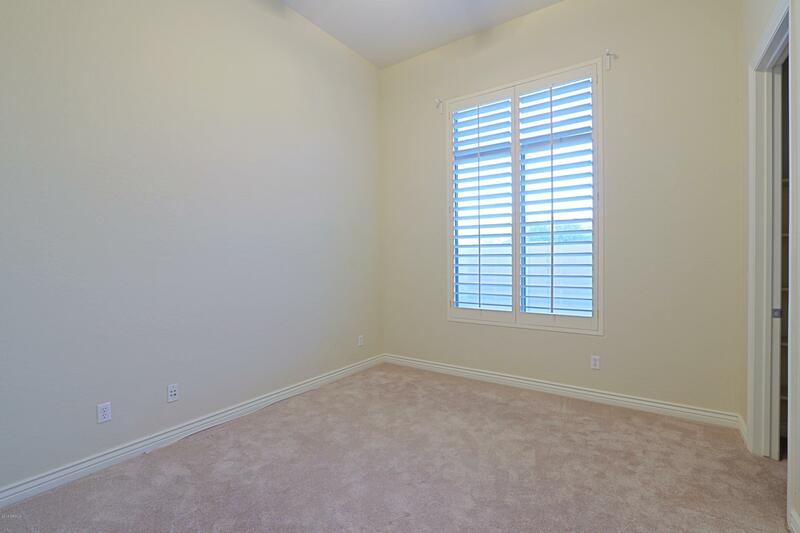 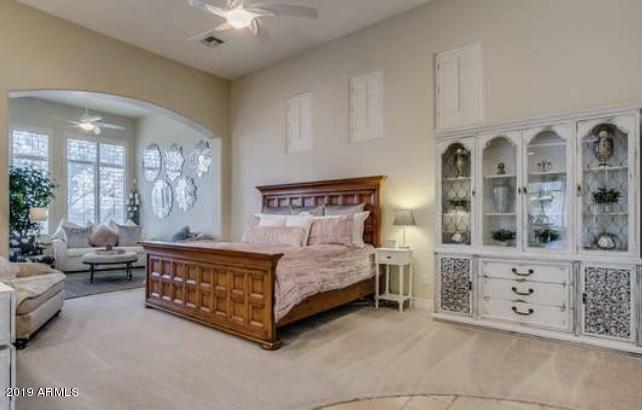 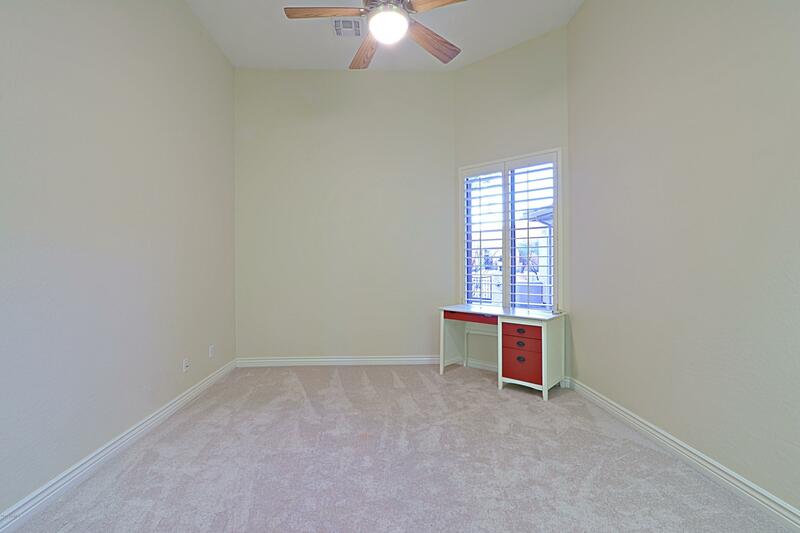 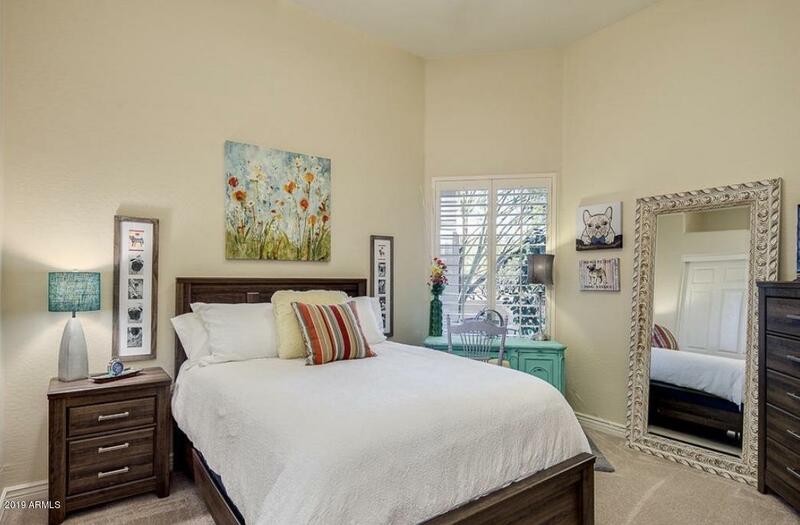 The master bedroom boasts a cozy sitting area with private entry, seperate double sinks, spa tub, and an over-sized walk-in closet. 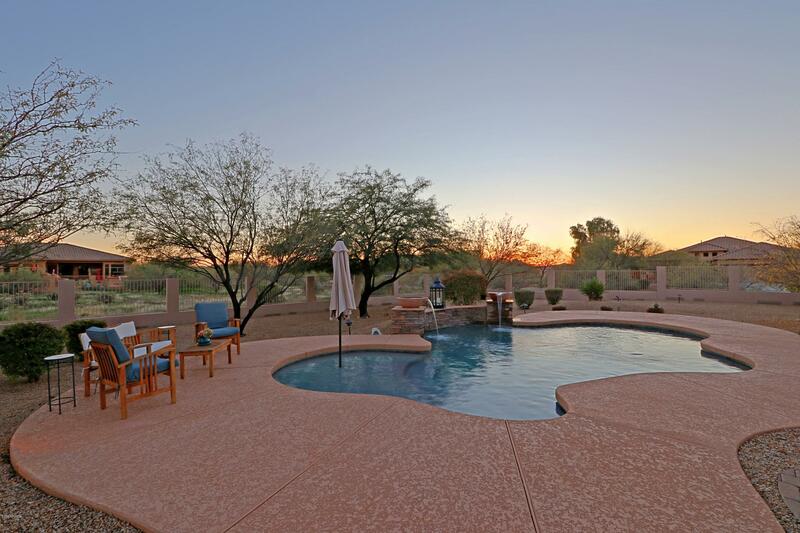 Enjoy year-round resort living on the spacious pavered patio with built-in BBQ, a fire pit and seating area, and a sparkling pool with water bowels. 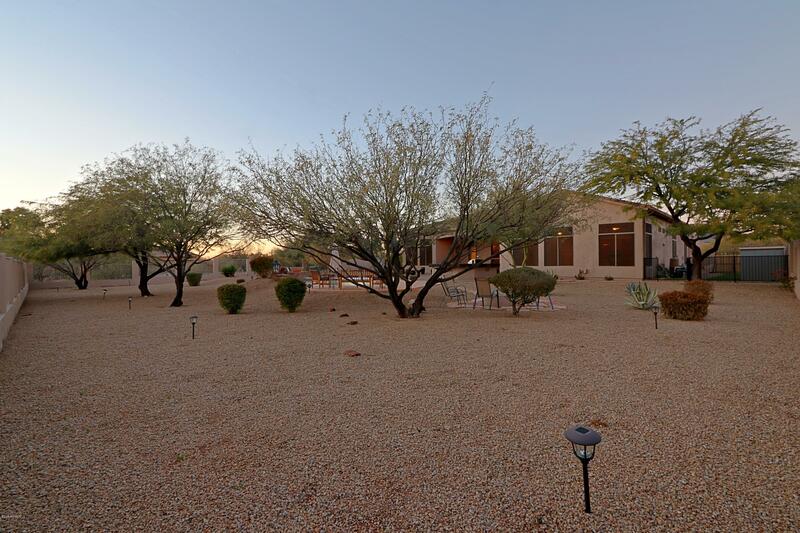 Turn North on 36th Street from Carefree Highway. 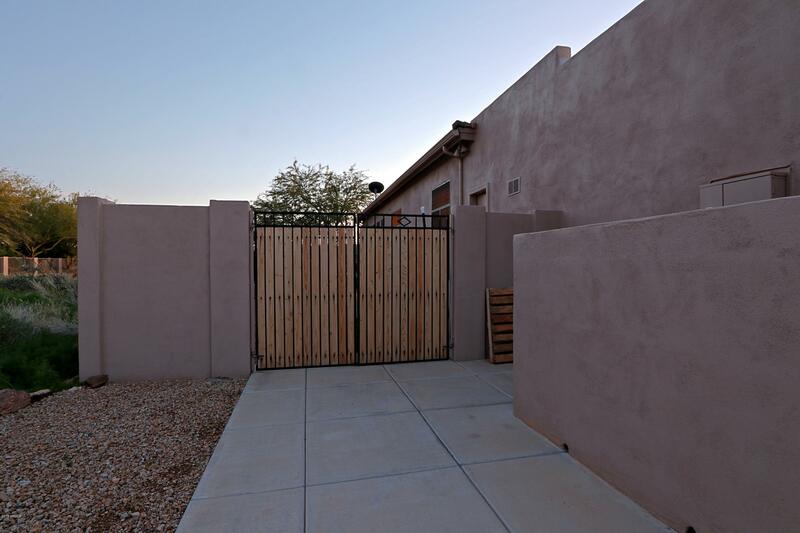 Turn East on Villa Casandra, turn North on 36th Place, turn East on Galvin St. First home on South side.